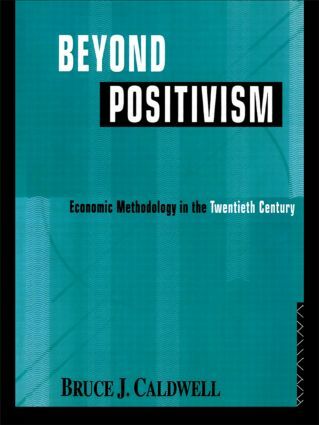 Since its publication in 1982, Beyond Positivism has become established as one of the definitive statements on economic methodology. The book’s rejection of positivism and its advocacy of pluralism were to have a profound influence in the flowering of work methodology that has taken place in economics in the decade since its publication. This edition contains a new preface outlining the major developments in the area since the book’s first appearance. The book provides the first comprehensive treatment of twentieth century philosophy of science which emphasizes the issues relevant to economics. It proceeds to demonstrate this relevance by reviewing some of the key debates in the area. Having concluded that positivism has to be rejected, the author examines possible alternative bases for economic methodology. Arguing that there is no best method, he advocates methodological pluralism.